People Look At The Moon Through His Telescope, And They All Have The Same Reaction!!! 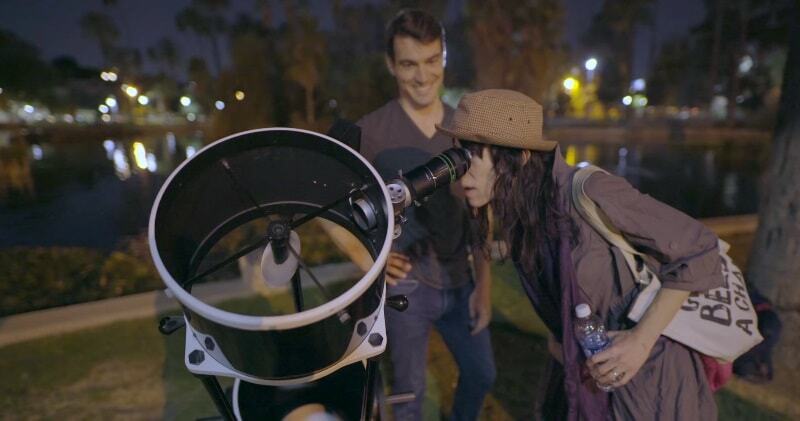 In “A New View of The Moon”, filmakers Wylie Overstreet and Alex Gorosh took a telescope around the streets of Los Angeles to give passersby an up-close look at the moon. What’s amazing about this short film is that no matter who looked through the lens, .To be able to see it up close and feel like you could almost reach out and touch it, that’s what makes it real to us, said Overstreet in the short film. It makes you realize that we are all on this small little planet, and we all have the same reaction to the universe we live in. I think there is something special about that, something unifying. It’s a great reminder that we should look up more often.